New! - T-Shirt painting for children and adults! 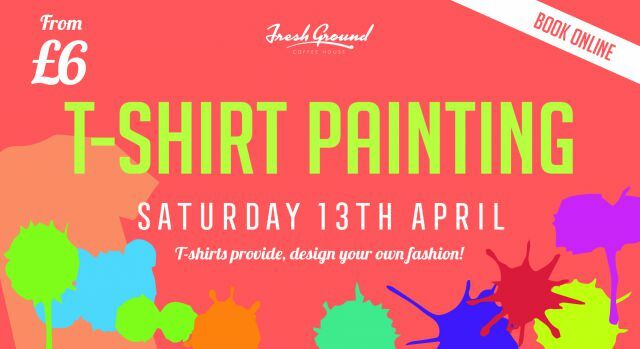 Become your own fashion designer and paint your own T-shirt!. We provide the t-shirts and paints and you provide the creativity. Book online for only £6 for children and £8 for adults. Purchase your ticket and we will contact you to order the size t-shirt you need. With our supply of fabric paints and stencils you can create your own designs.